Manizales, cultural, economic and tourist hub of the coffee, offers a variety of cultural and architectural attractions. Sites such as the Archaeological Museum of Manizales, the Pre-Columbian Museum, the Palace of Fine Arts, Old Railroad Station, the Museum of Natural History, the Metropolitan Cathedral, the Palace of the Governor, known for its Baroque style and influences visible French and Italian architecture, the Coffee Cultural Fund, the Augustinian Church and the Church of the Immaculate among others, are some of the most representative sites of the city. 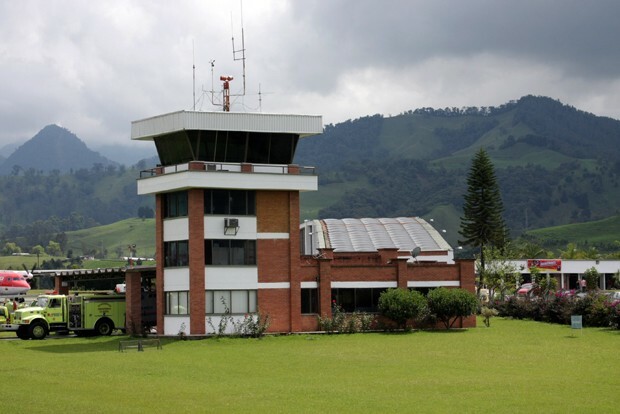 Transfer In and Transfer out from Manizales La Nubia Airport (MZL). Business center of Manizales in the coffee. Transport Executives offers its customers a private shuttle service vehicles especially characterized by its exclusivity, security, punctuality and personal attention from the La Nubia (MZL) airport to Manizales, Pereira and Armenia. From basic sedan of the year to vehicles and high-end trucks. If your trip in Bogota is a team or family, we also have lots of vans, minivans, buses and SUVs of the year to make your trip safe, comfortable and enjoyable. We offer specialized or for business travel tours according to their need for exclusive VIP transportation in comfortable cars, van, trucks, SUVs, and buses or from Manizales La Nubia (MZL) to Pereira, Armenia, Medellin, Cali airport or any city required. Depending on your need whether for business or pleasure, we offer special service vehicles such as cars, trucks, vans, buses, armored vehicles and high-end vehicles.